When you gain access to certain people or places, it’s a victory in and of itself. Kia’s had a lot of these moments lately and there are no signs that it’ll stop this year. 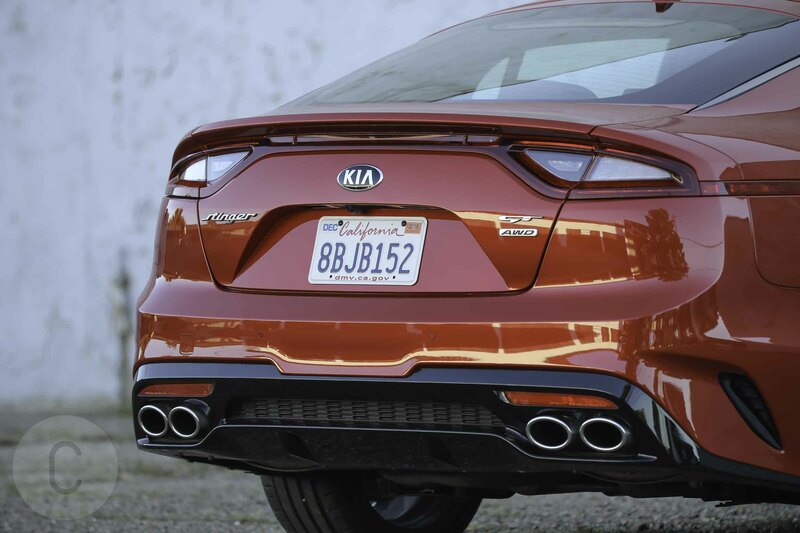 There’s a lot of whip appeal in the 2018 Kia Stinger GT2 AWD that made us very happy behind the wheel. 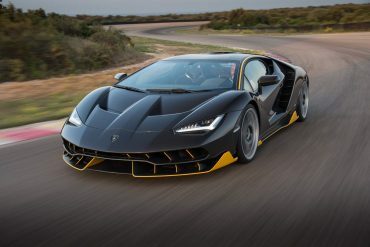 With a length of just over 190 inches, the Stinger not only aims to directly compete with the BMW 3 Series, but also has the Lexus GS sedan and the Audi A5 Sportback in its sights. We’ll get into the price point below, and you’ll really want to start scratching your head. 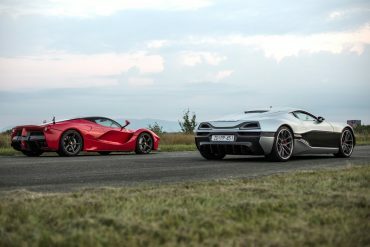 Compared to these upscale-appealing Japanese and German manufacturers, the Stinger could very well be the perfect car for the risk-taking, hard-working buyer who wants to stand out by jettin’ out on the town with originality and tech-savviness that makes a statement and starts a conversation. Cliches are never for objective test drives, thus we took our Stinger in Hichroma Red with black interior out to find out whether it lives up to its price and features. 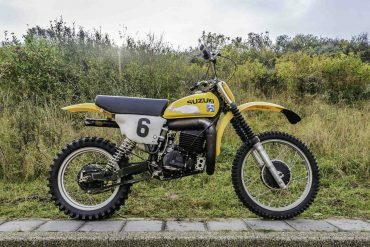 What we discovered is it does have a bit of that ‘70s Maserati Ghibli–yes, believe it or not, there were Ghiblis in the 1970s. The Stinger we took out stings rather poignantly from the optics standpoint, with its elongated hood, short front overhang and short rear overhang. 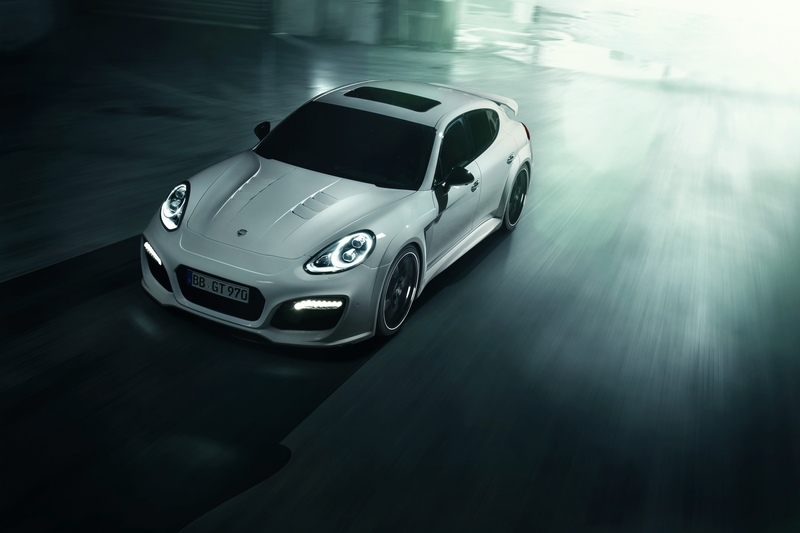 This is a performance-enhanced automobile if we’ve ever seen one, and we’re not mad at that. 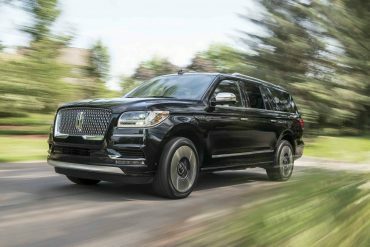 For one, there’s a 114.4-inch wheelbase and 190.2-inch overall length. The car’s interior is bigger on comfort, as well. 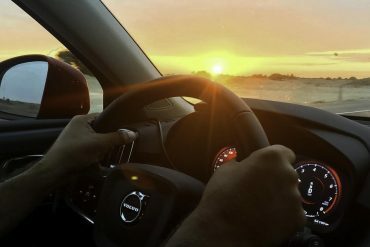 Appreciating the nappa leather is easy and a thick leather-wrapped steering wheel is useful and just, well… very wholesome on the backside, if we say so ourselves. For the gamer enthusiasts out there, the gauges seem bigger than usual, flanked within a solid metal setting. A color screen showcases the numbers. This is the cool part. 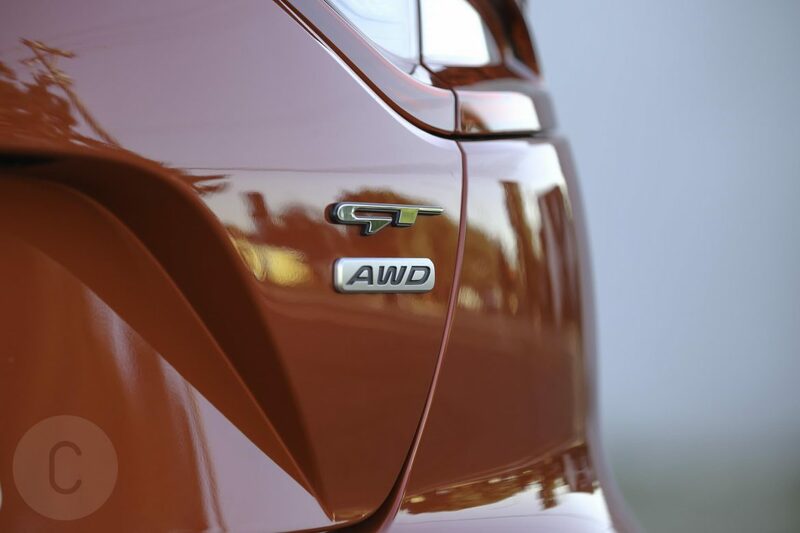 You’ll be able to know how fast you’re cornering by reading the G-forces and keeping score on lap times. 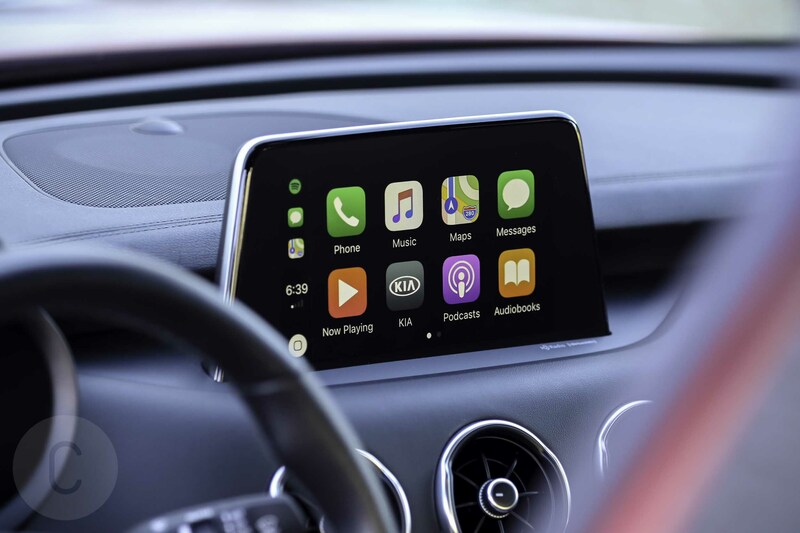 The infotainment system packs a major punch yet is dynamically slick, much like the Kia body contouring and shape. 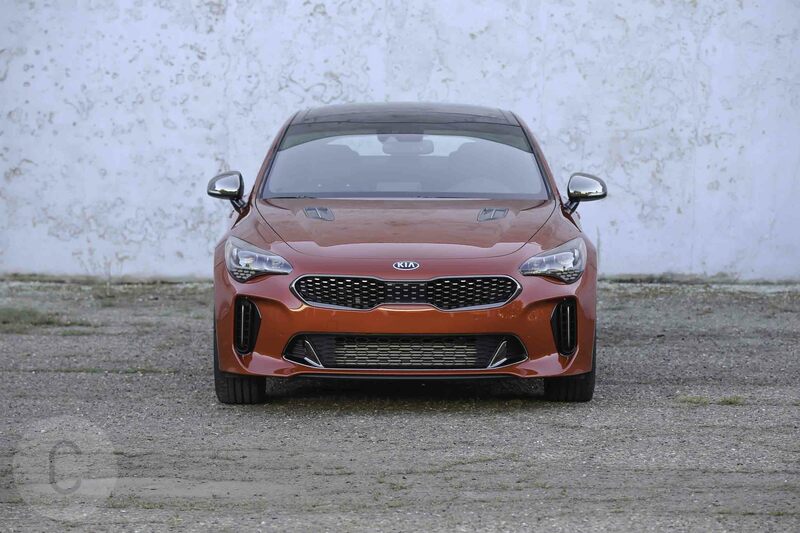 German automakers have introduced these features as well, but for Kia, the upstreaming of Cadenza and K900 means the Stinger’s angling for a piece of the action against some formidable opponents. 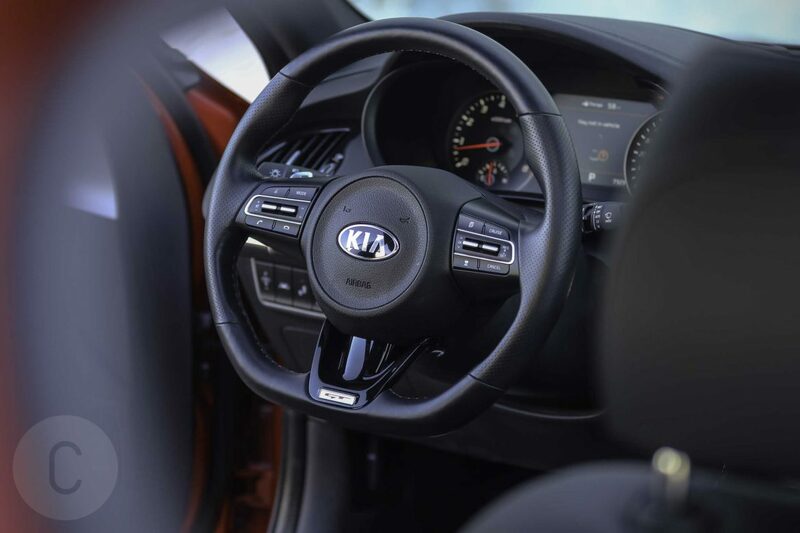 What Kia may have an advantage in is that it’s cabin adds value that pushes the car’s perception up a notch. The soft-touch surfaces are plush to the touch, although there are some less expensive plastic parts throughout that pull it all together. 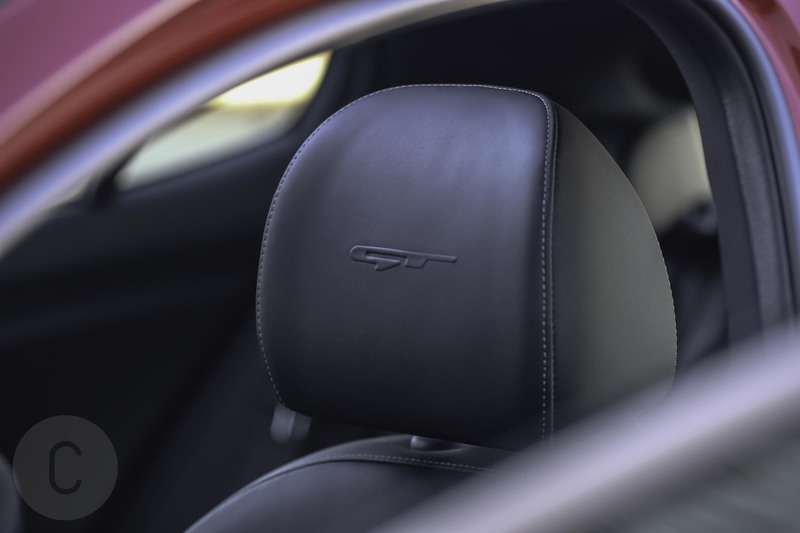 What we really liked is the dozen power adjustments on the driver’s seat, with the top trim of the Stinger adding another four, including heating and ventilation. There’s room in the Stinger to fit a driver over 6 feet tall and allow another 6-footer to sit right behind without feeling squeezed. The head room, however, is a bit more on the questionable side when it comes to taller folks. But, a fastback’s roofline isn’t exactly known to be conducive for the over 6-foot crowd, anyhow. 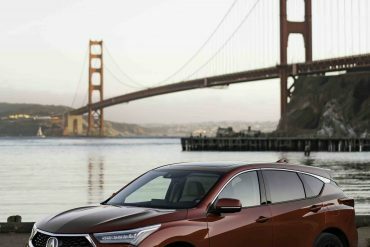 The rear cargo area does have 23.3 cubic feet of space and that exceeds the expectations for a typical sedan’s trunk. 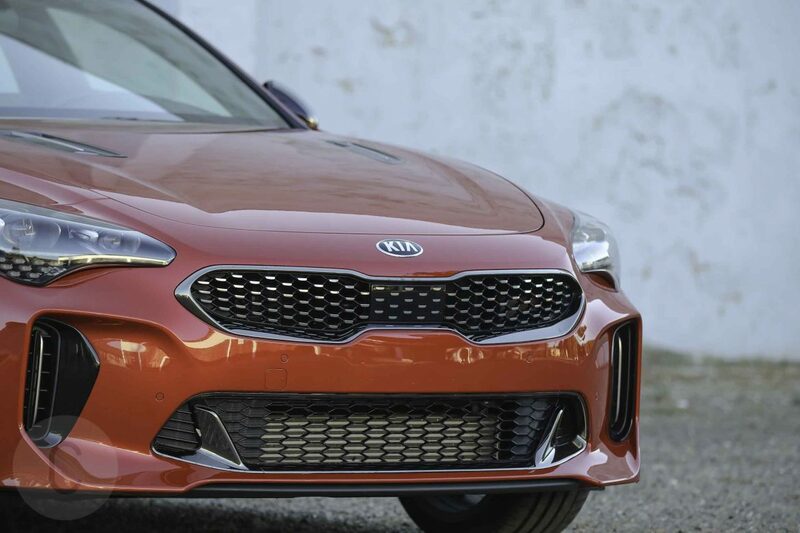 Kia has spliced a nice amount of safety tech into its sports sedan with grand aspirations. 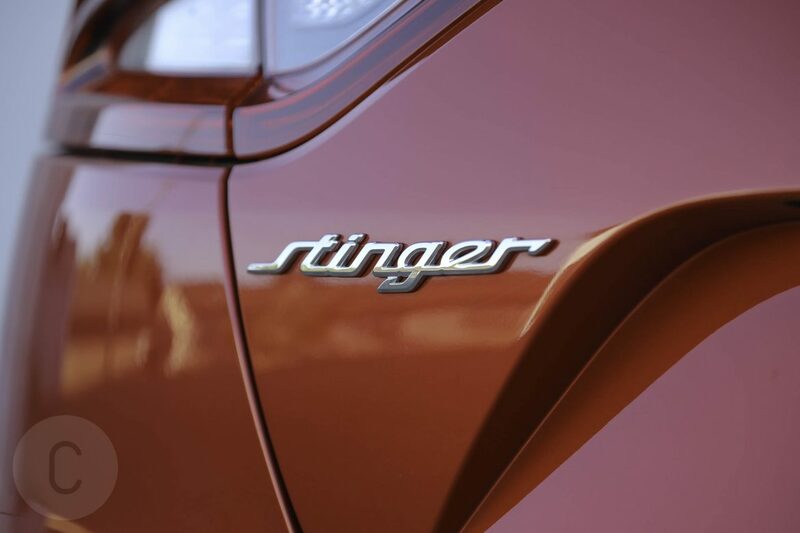 The Stinger GT features a dual front advanced airbags and driver’s knee airbag, along with dual front seat-mounted side airbags. 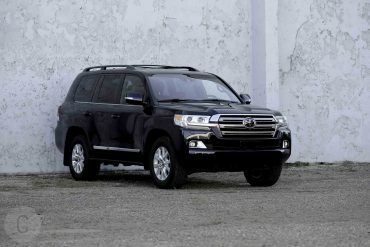 There is also full-length side curtain airbags, lower anchors and tethers for children, plus electronic stability control and tire pressure monitoring system. The Kia Stinger GT passed the EPA rating with 19 city, 25 highway and 21 combined mpg. These numbers are just above mediocre, which means we’ll just let them marinate. 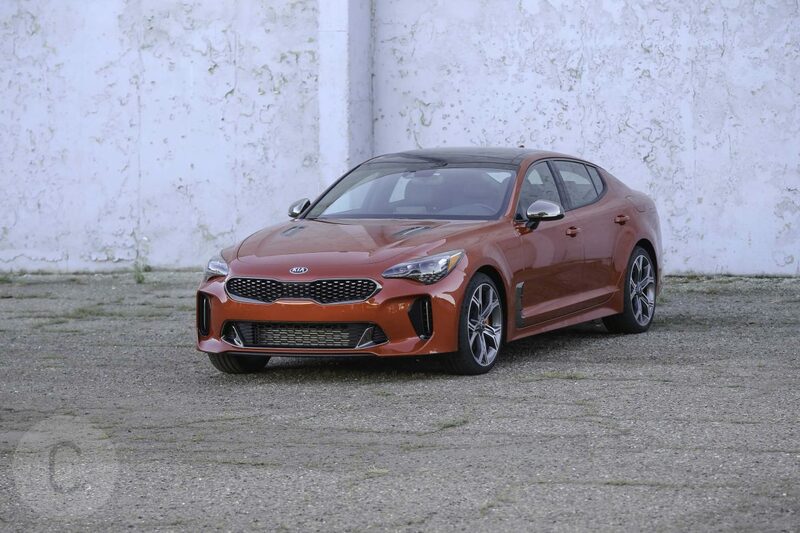 Our 2018 Kia Stinger GT2 AWD tester came with sheer power derived from a twin-turbocharged 3.3-liter V-6 producing 365 hp and 376 lb-ft of torque. 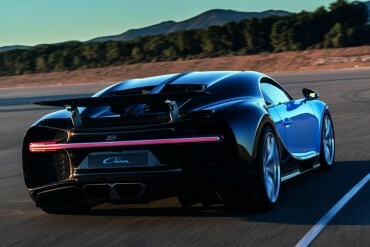 This car’s pretty friggin’ fast, registering 60 mph in 4.6 seconds. 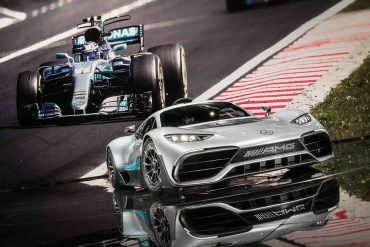 All said, expect to have to reign in your racing desires for the sake of being law-abiding when we tell you that you can go up to 167 mph in this sedan. 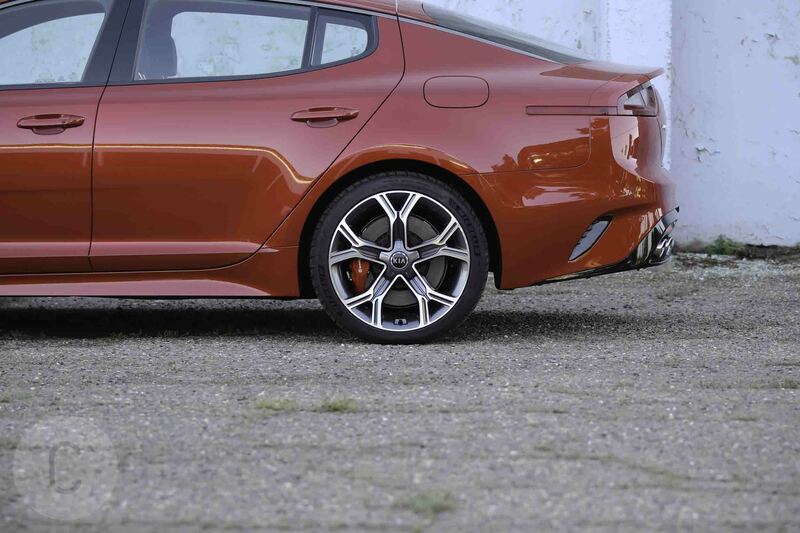 Remarkably, our tester proved that the Stinger GT2 can actually get that fast. Just don’t ask us where and when. 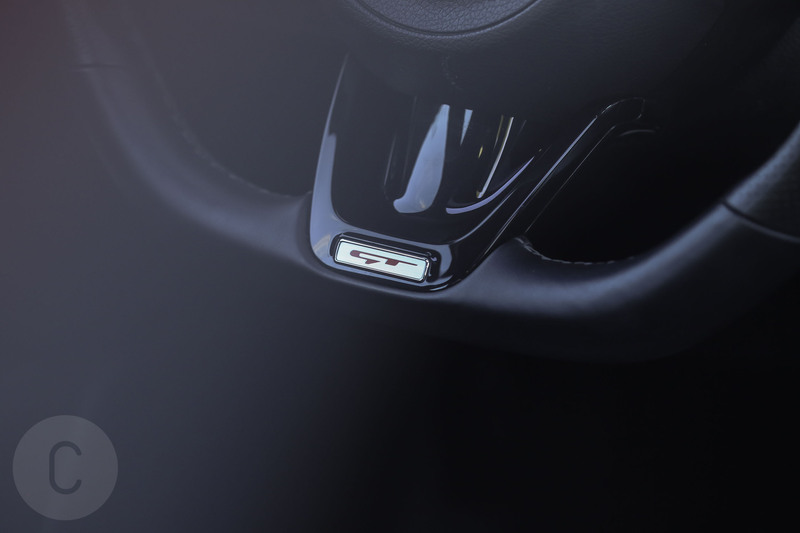 The Stinger GT2 has five settings that drivers can dial up–covering from Eco to Sport and very dynamically. This car is nothing short of a visceral ride and even the mild body roll when cornering can be forgiven. Once the roll settles during the turn, the car doesn’t wallow back and feels planted and predictable. 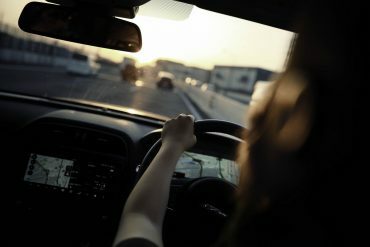 We really felt at home in Comfort Mode, which adjusts the steering, suspension, throttle and transmission to efficiency that marries practical and fun. 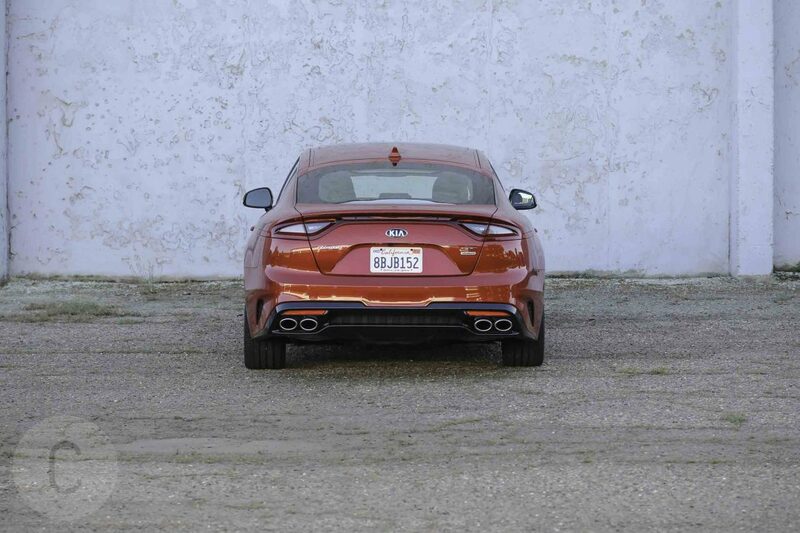 The Kia Stinger GT2 will induce much head scratching with the base price of $51,400 and really, $52,300 with inland freight and handling factored in. 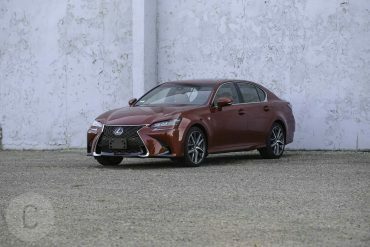 However, this sport sedan’s speed and overall quality, from the body to cabin, will instantly boost its credibility with consumers. 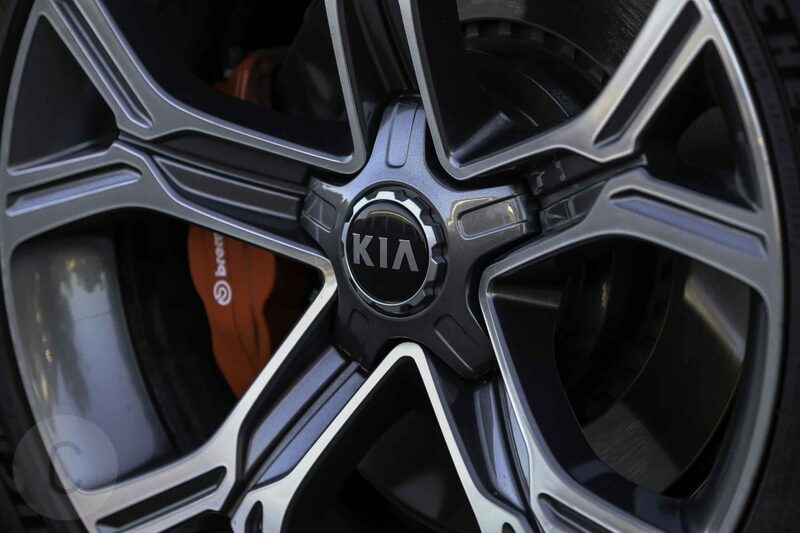 What we liked:For a Kia, this GT2 Stinger is a really fast, demon-like miracle. 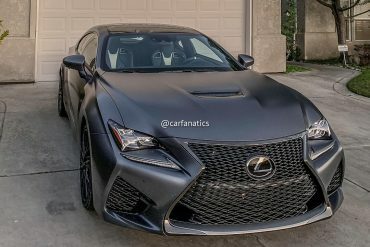 With smooth body language and contouring, fast and responsive transmission and minimal body roll around corners, this is just one cool car that’ll turn heads when it pulls up to the curb of a restaurant, club or what have you. 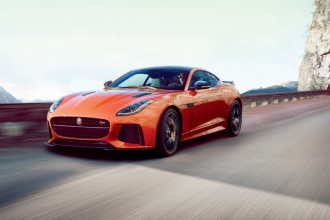 What we didn’t like: Brand awareness may be a barrier to entry for a lot of would-be buyers, as the Stinger GT2 overall brand awareness is about as questionable as Blake Griffin’s Clippers legacy. 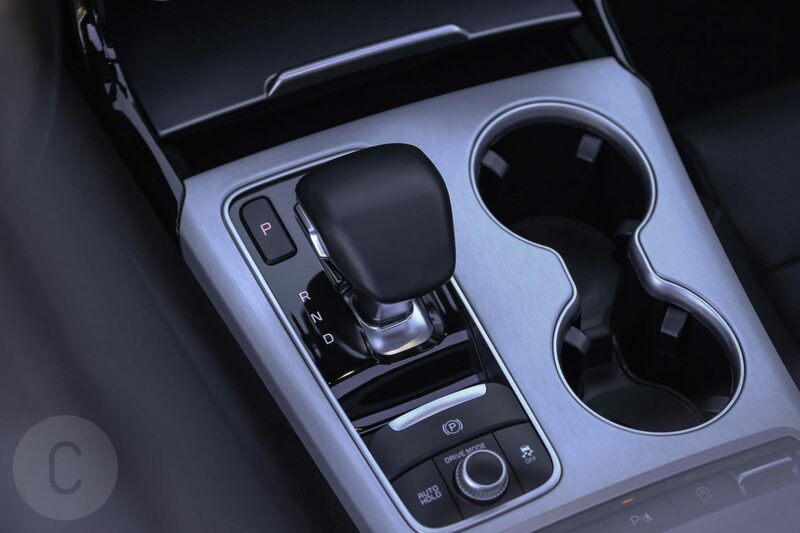 To shell out $52,000 on a Kia lacking a manual transmission requires a specific affinity that the company can only hope it establishes with the buyers in the segment. 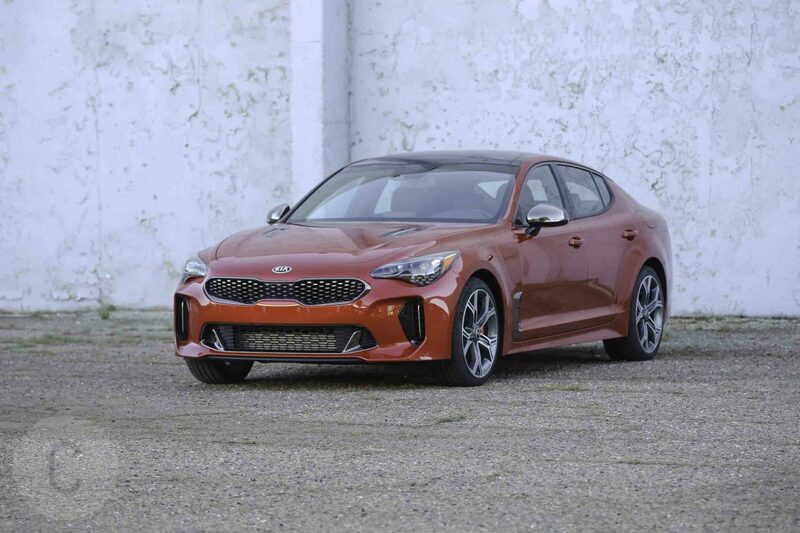 There’s plenty of very solid competition on all sides for the 2018 Kia Stinger GT2 AWD. 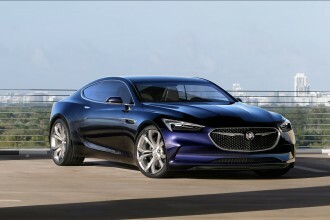 The base price of the car is about $3,000 less than the BMW 3 Series starting price and the Jaguar XE. 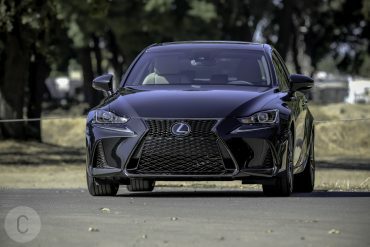 Keep in mind that Kia’s fast and dimensions encroach on the space available in the Mercedes C-Class and Lexus IS, there’s serious value proposition (voila!). Basically: Don’t count Kia out. 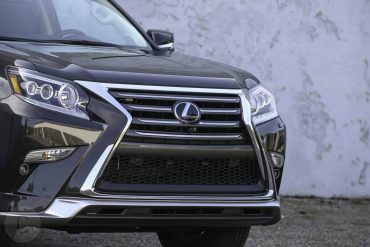 Between the aforementioned and its market adaption tailored towards buyers’ lifestyle choices and tastes, this car exudes fun. It’s aim is for you to try it and see what happens. 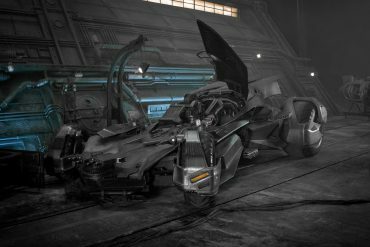 Ready, player one?